Getting a tattoo—or even several—is more popular than ever, with one study reporting that 1 of every 5 adults in the U.S. has at least one tattoo. But many people have second thoughts about body art for a variety of reasons. Laser tattoo removal at our Saratoga Springs, NY, practice can be an effective solution if you'd like to erase unwanted ink. Having the treatment performed by Dr. Jean Buhac, a board-certified dermatologist who specializes in laser tattoo removal, is the best way to ensure safe and effective results. Photos courtesy of Candela. Your results may differ. At Saratoga Dermatology, we use the Q-switched Alexandrite laser for tattoo removal treatments. This laser represents a breakthrough for tattoo removal because earlier lasers could significantly lighten the skin for results that weren’t cosmetically pleasing. The Q-switched laser can target different ink colors and is especially effective removing black or blue ink. During the treatment, pulses of laser energy penetrate the skin and break up the ink pigment similar to the way laser hair removal heats up pigment in the hair follicles. 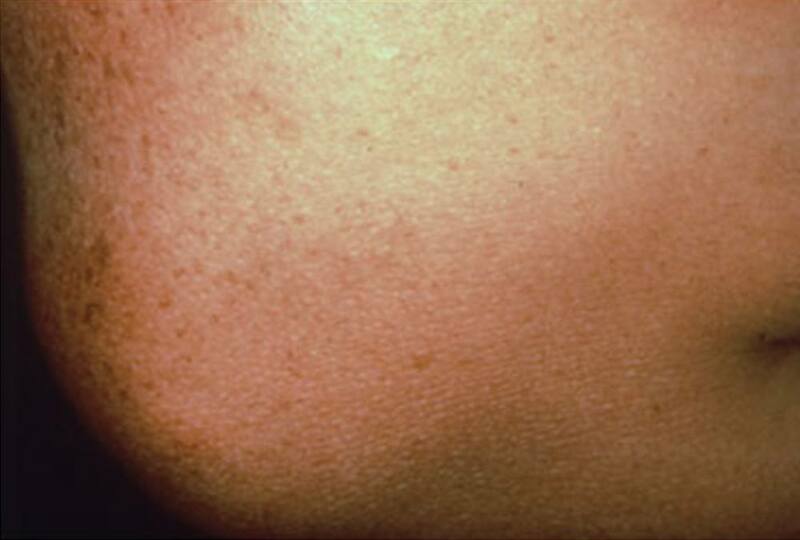 The body naturally rids itself of these tiny particles and the tattoo fades significantly and, in some cases, is virtually invisible. Our laser treatment providers, including Dr. Buhac, explain in detail before your procedure what you can expect to feel. The laser specialist performing the treatment guides the laser along your tattoo’s pattern as short bursts of energy target the ink. Many patients describe the laser pulse sensation as feeling like a rubber band snapping against the skin. It’s rare to get optimal results after only 1 treatment. Depending on the tattoo’s size and the ink color or colors used, you may need 3 or 4 or even 10 separate laser treatment sessions. The sessions need to be scheduled a few weeks apart to allow for healing between treatments. The final outcome can be dramatic. 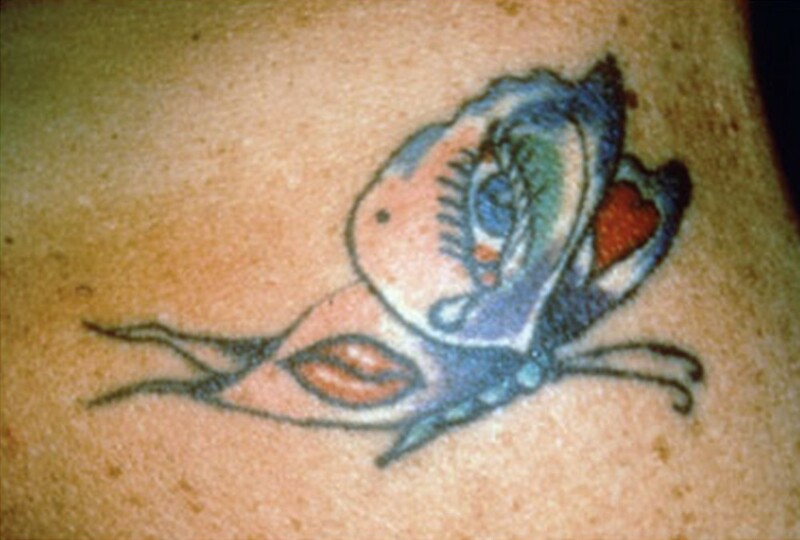 In many cases, tattoos fade almost completely—especially in those created primarily with darker inks. Your skin color and type will also influence the results because darker skin can be more challenging when lighter-colored inks have been used in the tattoo. One of the reasons patients considering laser tattoo removal travel from Albany and other areas to our practice is because of Saratoga Dermatology’s track record of getting excellent results. If you want to learn more about laser tattoo removal, request a consultation using the online form to meet with Dr. Buhac, or call our office at (518) 581-2860.